Philips announces FDA clearance for its Pinnacle³ Proton treatment planning system. Indianapolis, IN – Royal Philips (NYSE: PHG, AEX: PHIA) today announced that it has received 510(k) clearance from the US Food and Drug Administration (FDA) for its Pinnacle³ Proton treatment planning system in the U.S.
Philips’ Pinnacle³ is a recognized treatment planning system for external beam radiotherapy, which provides accuracy and reliability to users independent of the treatment delivery system. The Proton module is fully integrated into the Pinnacle³ planning environment and continues to offer personalized user experience. "The transition for an existing and well-established photon center, to planning protons, is nicely facilitated by the Pinnacle³ system, whether it’s for proton-only planning, or combination planning of photons and protons. This capability has allowed us to confidently choose the best treatment modality for each patient" said Dr. Eric E. Klein, Professor of Radiation Oncology, Washington University, and St. Louis, USA. Designed through extensive clinical collaboration with current proton treatment centers, the Pinnacle³ proton module addresses some of the major challenges faced within proton planning today. The combination of specially designed tools and the seamless integration within Pinnacle³ provides an extensive range of functionalities that include composite proton-photon planning, fast commissioning, and automated contouring and re-planning. These features offer clinicians the chance to select the appropriate treatment options for the patient and do the work quickly through improved workflow. 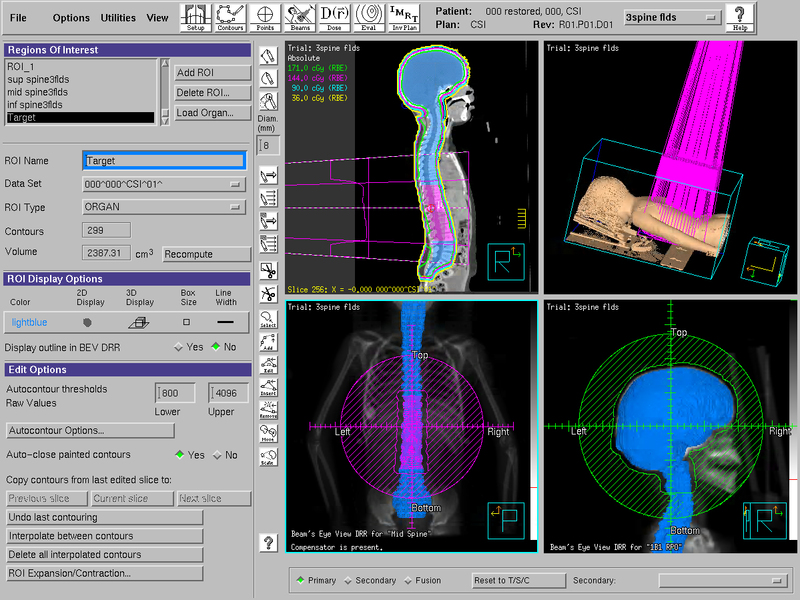 Features like automated re-planning allow the clinicians to adapt the treatment plans quickly (which, in turn, allow them to change the treatment regime) and take into account the impact of the treatment on the patient’s anatomy, providing more targeted treatments. Without these automation tools, the task remains very laborious and time-consuming; deterring clinicians from developing alternative treatment plans. The number of centers treating patients with proton therapy is steadily increasing. With the introduction of more cost-effective treatment machines, which are reducing the investment cost of starting a proton center, the number of new programs under development is rising rapidly. Many of these centers see themselves as pioneers that advance the possibilities to provide improved care for cancer patients. "Proton therapy is the next logical step in the process of technology evolution in external beam radiation therapy,” said Niek Schreuder, Vice President and Chief Medical Physicist of ProVision Health Partners, a long term collaborator with Philips on the Pinnacle³ Proton project. “Moving proton therapy into clinical practice attempts to increase the therapeutic ratio by increasing the dose to the target while reducing the integral dose and the dose to critical structures. It will provide the radiation therapy community with a highly efficient treatment modality that will reduce the cost of delivering radiation therapy to patients in the very near future." Royal Philips (NYSE: PHG, AEX: PHIA) is a diversified health and well-being company, focused on improving people’s lives through meaningful innovation in the areas of Healthcare, Consumer Lifestyle and Lighting. Headquartered in the Netherlands, Philips posted 2012 sales of EUR 24.8 billion and employs approximately 115,000 employees with sales and services in more than 100 countries. The company is a leader in cardiac care, acute care and home healthcare, energy efficient lighting solutions and new lighting applications, as well as male shaving and grooming and oral healthcare. News from Philips is located at www.philips.com/newscenter.